Developing new methods for chemotherapy drug delivery has become a topic of great concern. Vinca alkaloids are among the most widely used chemotherapy reagents for tumor therapy; however, their side effects are particularly problematic for many medical doctors. To reduce the toxicity and enhance the therapeutic efficiency of vinca alkaloids, many researchers have developed strategies such as using liposome-entrapped drugs, chemical- or peptide-modified drugs, polymeric packaging drugs, and chemotherapy drug combinations. This review mainly focuses on the development of a vinca alkaloid drug delivery system and the combination therapy. 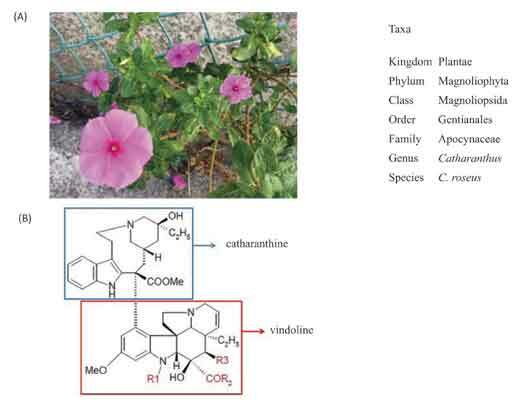 Five vinca alkaloids (eg, vincristine, vinblastine, vinorelbine, vindesine, and vinflunine) are reviewed. Vinca alkaloids, Drug delivery systems, Combination therapy, Vincristine, Vinblastine, Vinorelbine, Vindesine, Vinflunine, Vinpocetine.